WORK HARD, PLAY HARD & LOOK GREAT: Looking for headwear tough enough for all types of sports but stylish enough for casual wear? We couldn't find any, so we developed the original Tough Headband?. 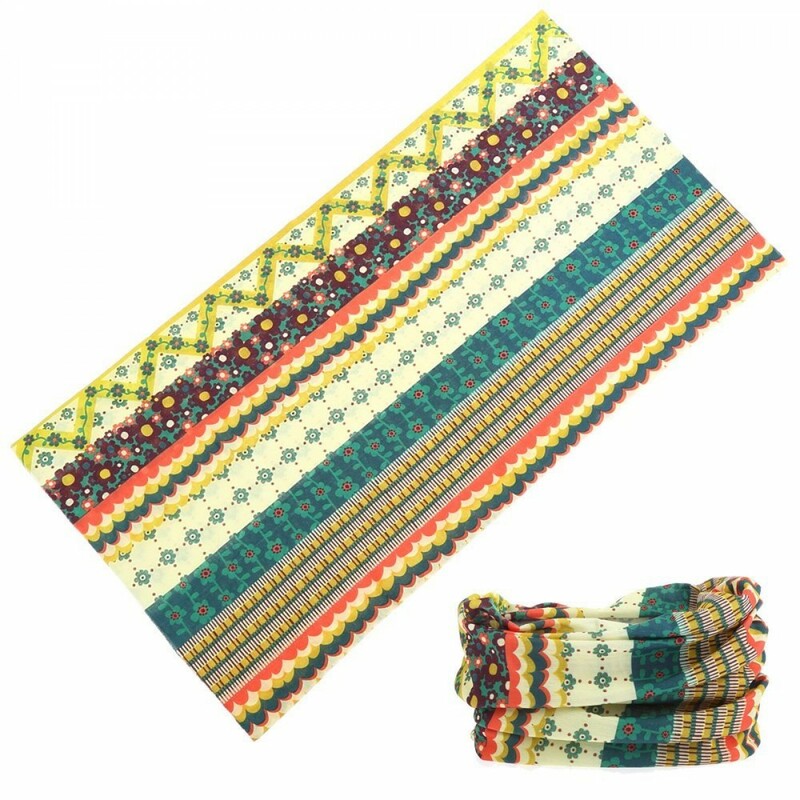 Our thousands of customers have used our headbands for chilly morning jogs, sunny fishing trips, rides on winding roads, yoga sessions and runs down snowy slopes. The Tough Headband is a high-performance, versatile headband you can wear in 12 different ways for your adventures and daily life. KEEP YOUR EYES ON THE PRIZE & SAY NO TO HEADBAND HEADACHES: We designed Tough Headbands to be moisture wicking and stretchy. Our headbands are made from 100% premium microfiber, a breathable material that wicks away moisture faster than the leading alternatives. They are stretchy, and conform to heads of all shapes and sizes. Our headbands are seamless, resulting in ultimate comfort and fewer bad hair days. SAVE YOUR MONEY, ROCK THIS HEADWEAR IN 12 DIFFERENT WAYS: Why buy a headband, neck tube, bandana, head scarf and cap when you have it all in one here? In the winter, rock it as a lightweight neck gaiter, face mask, beanie or balaclava. In the summer, rock your Tough Headband to wick away sweat and protect yourself from the sun. Our headbands are worn by weekend warriors & buff athletes, stylish urbanites, and even cancer chemo patients. Check out our product images for the ways you can wear it! CUSTOMERS LOVE US AND OUR LIFETIME WARRANTY: With over 6500 5-star reviews on Amazon, our headwear products are the #1 headwear choice for Amazon customers. We are so confident that we provide a lifetime warranty and 100% satisfaction guarantee on all our products. START YOUR NEW YEAR IN STYLE: Don't wait, take advantage of our winter sale today! Looking for the Best, Most Versatile Sports Headwear Out There? Then Look No Further! What Makes a Tough Headband? Different?
? Versatility: When it's warm out, you rock your Tough Headband as a regular headband or bandana. But when it's colder, you can wear it as a neck gaiter, face mask, helmet liner and even balaclava! Check our product images to see the 12 ways you can wear your Tough Headband. ? Perfect Sports Accessory: Our headbands are made from 100% microfiber, a highly breathable and moisture wicking material. Tough Headbands are perfect for outdoor activities such as biking & riding, hiking & running, skiing & snowboarding, working out & yoga, and hunting. ? Value: Forget about buying a headband, a neck warmer, face mask, bandana, and balaclava. You've got it all in one here! ? Styles: With over 12 style collections and 50 designs (not just solid colors or paisley) to choose from, we let you find the design you want to rock. ? Satisfaction Guarantee: We're the ONLY headband with a 100% money back satisfaction guarantee. If for any reason you're not 100% satisfied with our headbands, simply contact us for a hassle-free full refund. We'll rush you a FULL REFUND and let you keep the headband. How can we make this incredible guarantee? Because we're outdoor adventurers from California who've tested our headbands in every condition possible. We never go on an adventure without our Tough Headbands, and we KNOW you will be satisfied with them. Experience what thousands are absolutely LOVING! Click Add to Cart right now before we're out of stock!